White Lions are not albinos, but a genetic rarity unique to one endemic region on the globe: the Greater Timbavati / Kruger Park Region. The Genetic Marker that determines the unique colouration of white lions was finally identified in October 2013, after a 7 year study led by the Global White Lion Protection Trust and partnering 7 different countries. The frequency of occurrence of the white gene in the Greater Timbavati / Kruger Park Region is yet to be determined, and is a next step for the White Lion Trust. The White Lions are currently classified under the general species classification Panthera leo, according to CITES (Convention for the International Trade in Endangered Species) Appendix II and IUCN category Vulnerable. The Department of Environmental Affairs (DEA) in South Africa has recommended that lions in SA be down listed to Least Concern – the White Lion Trust is campaigning to have all lions, including the unique white lions, better protected. Since their discovery in 1938, white lions and those lions carrying the unique gene have been hunted, and forcibly removed from their natural endemic habitat. 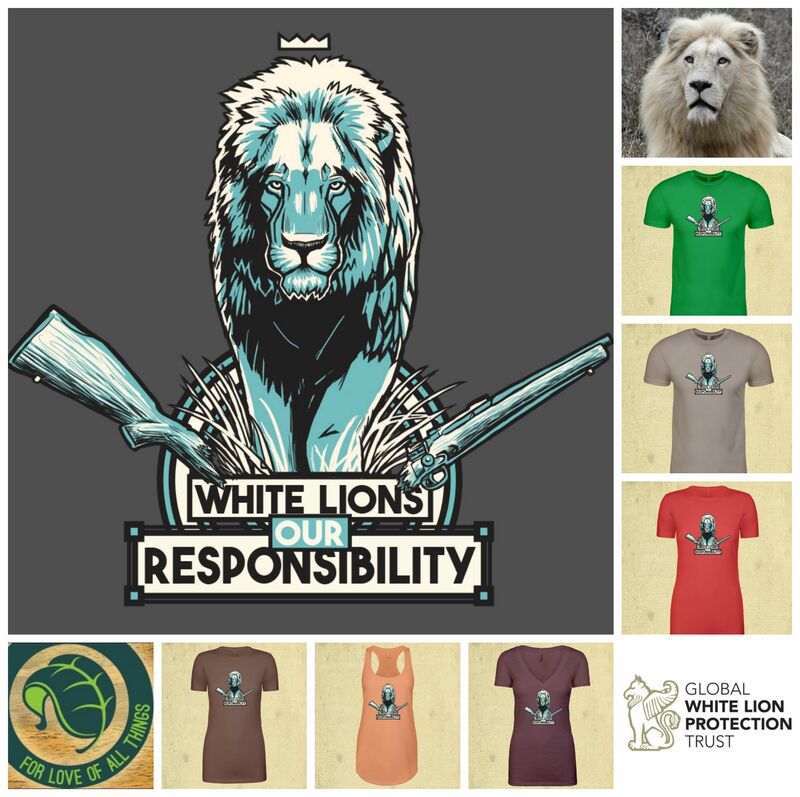 In 2004, after 12 years of technical extinction of the White Lions in their ancestral homelands, the White Lion Trust commenced its reintroduction program. Today, the organisation has successfully reintroduced 3 prides of integrated White Lions to free-roaming conditions in their natural endemic habitat. After a 10-year scientific study on white lion hunting behaviour, the White Lion Trust published a ground-breaking scientific paper providing evidence that white lions hunt as effectively as wild tawny lions in the same free-roaming area [Turner, Vasicek & Somers 2015 :http://www.open-science-repository.com/biology-45011830.html]. In 2006, white lions started once again being born in the Timbavati and neighbouring private nature reserves, proving that the white lion is a natural occurrence and that the gene still exists in the Greater Timbavati Region. In 2014, the first white cubs were once again born in the Kruger National Park – a region in which there is no lion trophy hunting, so there is much hope for the long-term survival of white lions. Despite the continued commercial trophy hunting of lions in the Greater Timbavati region, there have now been several occurrences of White Lions over an extensive area, proving the conservation value of this rare phenotype to the biodiversity of this wilderness region. There is no scientific evidence that white lions are genetically inferior to ordinary tawny lions – having identified the genetic marker in 2013, the White Lion Trust is initiating a scientific study to conclusively investigate the ecology and genetics of white lions in their natural habitat. The idea that White Lions cannot survive in the wild due to perceived lack of camouflage has no scientific basis, and preliminary evidence from a 10-year scientific study by the White Lion Trust indicates that white lions are apex predators, hunting as effectively as wild tawny lions [Turner, Vasicek & Somers 2015 ]. Currently, there is no law nationally or internationally that protects the White Lions from being wiped off the face of the earth. And in fact, at the present time (2015) the conservation authority in South Africa (DEA) is proposing to down list the IUCN conservation status of ALL lions in SA from Vulnerable to Least Concern – the White Lion Trust and other concerned organisations are campaigning to prevent this down listing. Note: the down listing will increase the hunting of wild lions in South Africa, and increase the availability and therefore the demand for lion parts / bones, putting lions under greater threat of extinction.